Another Mobile casino game brought to you by Evolution Gaming under review here is auto Ruleto. Here the wheel is on auto drive and players can keep half their bets for bets on the single zero in the game. You can obtain more information on this roulette from the review below. In Auto Roulette, you bets are placed really quickly. The wheel spins automatically as soon as wagers are placed and the time between sessions is pretty short. As mentioned before, players can hold on to half their staked sum if the spinning ball lands on zero. This is known as the La Partage rule and this lowers the house edge of the game. The wheel can be seen on the top left-hand corner and players can click to reveal the betting layout and also the racetrack can be seen in the centre of the screen. This is an ultra-fast Mobile casino game and may take some getting used to. Auto Roulette is styled after standard French roulette games. The ”La Partage” rule is proof of this. The La Partage rule simply implies that you hold on to half your wager whenever the ball drops on the single zero digit on the wheel. You also have a Live chat feature for players wishing to ask croupiers questions on the game. The live chat is available on a 24/7 basis and the croupiers will attend to any nagging question you may have. One thing players of online mobile roulette casino games demand is a lower house edge. This is the case in Auto Roulette as players get to keep part of their wager when the wheel spins and the resulting number displayed/landed on is a zero. There is no dealer on hand in this speedy roulette game. With super quick sessions and win announcements, this is one online roulette game that should keep you playing for quite a bit. The minimum bet per session is £0.50 and players can play as many rounds as they can within a short period of time. The La Partage rule also adds to the overall benefit to players as well. 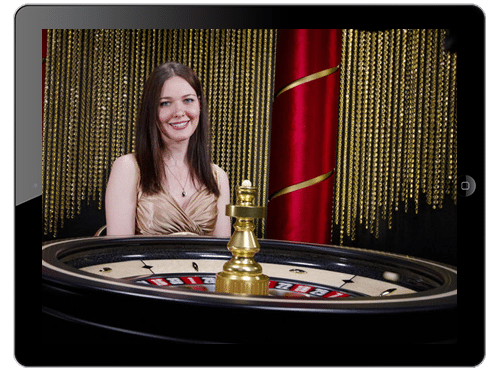 You can check out this roulette on any reputable online site and register today to get playing.